Students participating in last year’s smART Festival. Saturday, March 30, the California Center for the Arts, Escondido and the Escondido Union School District will hold the 7th annual smART Festival from 10 a.m. – 2 p.m. at the California Center for the Arts, Escondido at 340 N. Escondido Blvd. The event is free and open to the public. 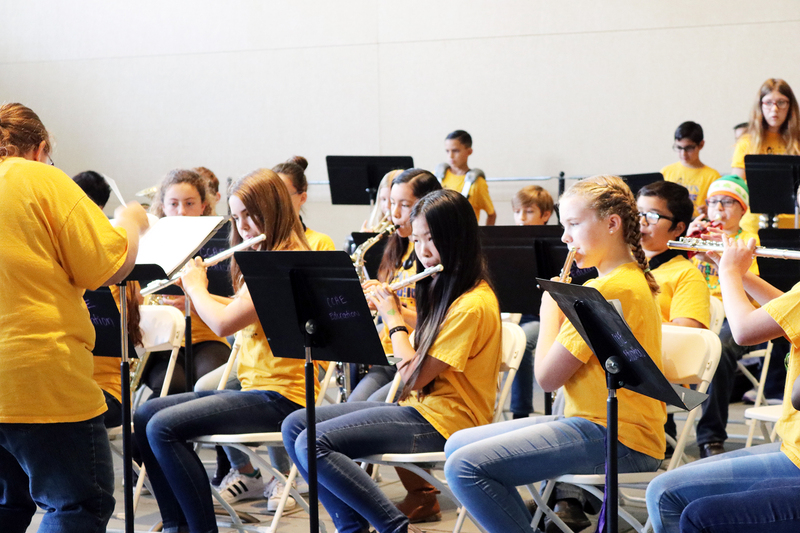 For one day each year, the California Center for the Arts, Escondido dedicates its Museum and Conference Center to the celebration of youth in the local community; utilizing the Center’s ongoing partnership with the Escondido Union School District to bring arts education to youth in schools. This innovative annual community festival highlights the accomplishments of this partnership.